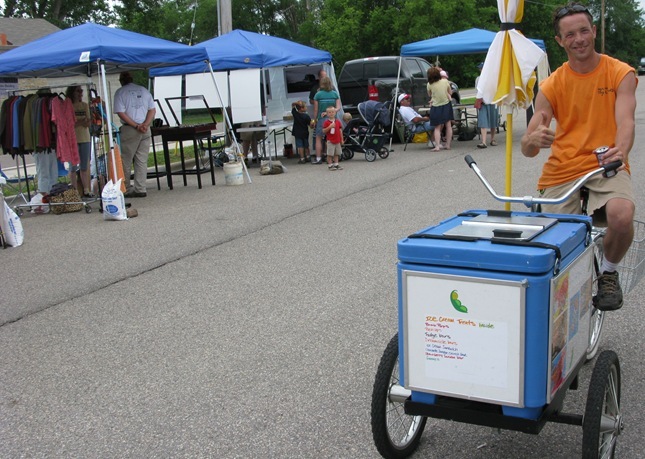 I saw Jerry Weber, co-owner of Sweet Pea’s Loft/Toys & Treats, pedaling his ice cream bike in downtown Dundas on Saturday for Celebrate Dundas. 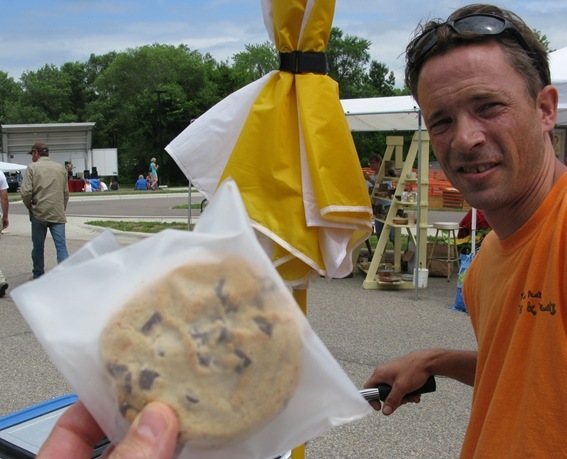 Robbie and I each ate one of his ice cream cookies. He gets the cookie dough from The Ole Cafe and the ice cream from Tiny’s. Yum!